We've got a treat for you! 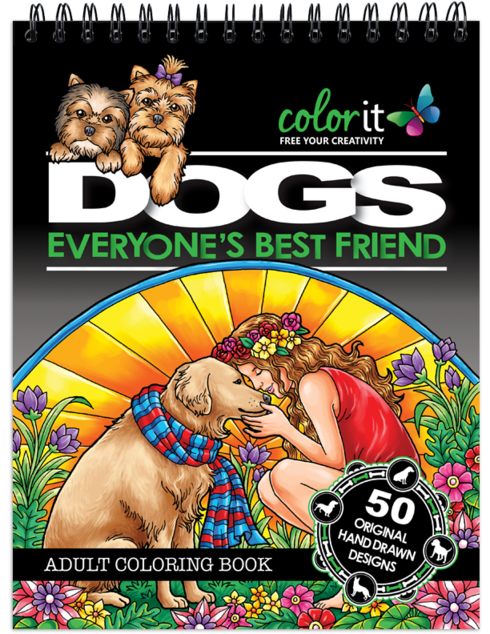 If you love dogs then our coloring book Dogs: Everyone's Best Friend is perfect for you! Color your favorite breed - pugs, terriers, spaniels, shepherds, bulldogs, retrievers and many more. The mid-level colorist will definitely enjoy the intricate designs in every page. But if you have just started coloring, don't worry. The designs are meant for all levels! What are you waiting for? Go fetch your favorite coloring mediums and bring our furry friends to life as you free your creativity.